Water Street Home Dr. Water – It’s Time To Be Flowing Along! Dr. Water – It’s Time To Be Flowing Along! 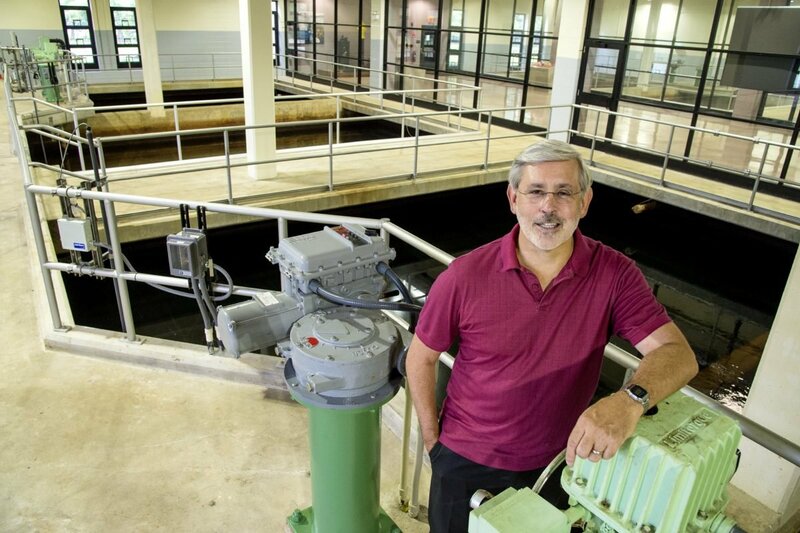 After a fantastic career and 32 years with American Water, October 6 will be my last day at work. So, this blog will serve as my last (regular) Dr. Water entry. I couldn’t be retiring on a better note! Through the years this company, the water industry, and the communities we serve have afforded me tremendous opportunities to advance my own career pursuits in the science of water as well as to apply my skills to help impact the future of water and the environment. I joined American Water in 1985 because I found it to be an organization that truly wanted to learn and improve. In the years since then, that desire to know, explore, discover, and continuously improve has not changed. American Water provided me with a platform to conduct over 100 research projects – totaling more than $43 million – that have touched on a wide range of water issues. I’ve worked with great staff and collaborators and with the operators of over 300 drinking water and 200 wastewater facilities across the US. Rest assured, while I very much look forward to moving to Denver to be closer to children and grandchildren, I could never remain totally disconnected from the exhilaration that is, for me, the water industry! I plan to keep my “toe in the water” by serving on the technology board for the National Academies of Sciences, Engineering, and Medicine, doing some consulting work, acting as an advisor at the University of Sheffield in the United Kingdom, and of course serving as a guest-blogger for American Water, among other things. So, while you may not see me on the pages of this blog nearly as much, I will remain a part of the “infrastructure,” helping, I hope, to influence local, national and global water missions! Before saying farewell as Dr. Water, I must thank all of you. I hesitate to call you “my readers” because from my very first blog I never felt as if I was writing an article to be passively read, but instead engaging in a discussion with the people who care most deeply about our most precious natural resource. And we certainly have been through a lot of discussions and topics over the years! By the numbers, we’ve been having Dr. Water discussing topics for six years… through more than 240 blogs… which translates into well over 108,000 words of dialogue between us (as point of reference, the average movie script has only about 11,000 words of dialogue)! I’ve greatly enjoyed this blogging experience and have found it to be incredibly enriching both professionally and personally. Lastly, I want to reiterate that this blog is not coming to an end, but instead is flowing on to an exciting new evolution; one that will continue to keep you immersed in the latest water news, issues and interests. Moreover, to give you an even greater depth of topics and insights, the blog will be written regularly by several American Water experts, as well as occasional guest bloggers, including yours truly. Look for the first installment of the bigger, expanded American Water blog, “Water Street” the week of October 16th. Transitions are a time for assessing what is truly important. Water is fundamental to our prosperity, health, quality of life – even our downright survival on this planet! Although I’ll be transitioning into “semi” retirement, we all can use this opportunity to recommit ourselves to promoting, protecting, and preserving water resources for now and into the future. American Water: #beautifullydifferent 12 Months a Year! We Got Moving to Keep Your Life Flowing!